Remember this custom job? 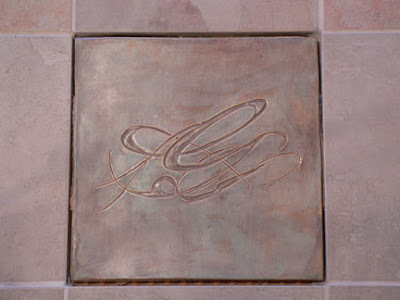 We were commissioned to create an accent floor tile for the client's gorgeous summer home on in Ontario lake country. The beautiful calligraphic motif has special meaning for the family. Here are a couple of photos from the client, of the tiles being set in place. 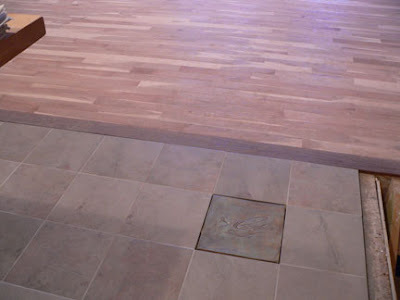 Once grouted and finished, I think these floor tiles will have a wonderful, been-there-forever feel.